The Gershman Philadelphia Jewish Film Festival hits a high note with three music-themed films during the two-week event, running November 3 to 18. From iconic pop ballads to Harlem blues to the American holiday songbook, the history of American music would sound very different without the influence of the Jewish musicians, composers, and lyricists who contributed to the American song canon. On Wednesday, November 7, join us at the National Museum of American Jewish History for a 2pm matinee screening of “Sammy Davis, Jr. I’ve Gotta Be Me.” Getting beyond his affiliation with the Rat Pack, director Samuel D. Pollard’s intimate portrait of Sammy Davis, Jr. paints a vivid picture of a child prodigy, world-class entertainer, and civil rights activist. Having achieved stardom during a period of American history fraught with racial barriers, the effervescent, tap-dancing icon, known for hits like “The Candy Man” and “I’ve Gotta Be Me,” struggled against prejudice and frequently courted controversy. From appearing onstage with Frank Sinatra to befriending President Richard Nixon despite the disapproval of his fan base, Sammy demonstrated that he was not afraid to go against the grain. In fact, one of his most memorable moves transpired off the dance floor when, while recovering from a serious car accident, he famously announced his decision to convert to Judaism. 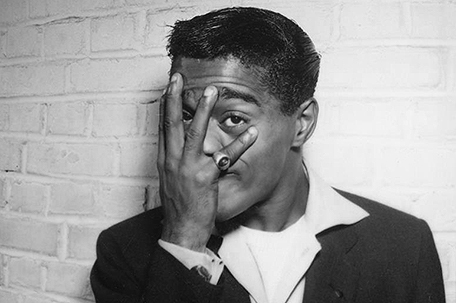 A self-made success, it was Sammy Davis, Jr.’s extraordinary talent and resilience that propelled him to the top and established him as the musical legend we know today. Featuring fabulous interviews with Billy Crystal, Whoopi Goldberg, and Norman Lear, and a generous selection of archival clips highlighting Davis’ show-stopping performances. “Sammy Davis, Jr. I’ve Gotta Be Me” is a masterful dedication to one of America’s most unforgettable stars. One week later, on Wednesday, November 14 at the Philadelphia Clef Club of Jazz & Performing Arts, “Satan & Adam” will screen at 7 PM. This beautifully crafted documentary captures the wild, exciting energy of blues music as it chronicles the decades-long collaboration between Sterling “Satan” Magee, a Harlem Street performer and blues legend, and Adam Gussow, a Jewish Ivy League-educated harmonica player. Gussow’s first encounter with Mr. Satan was when he happened upon him playing his guitar on the streets of Harlem in the 1980s. Floored by what he heard and saw, he asked Satan if he could join in on his harmonica. It was that small gesture that gave birth to a larger-than-life Harlem fixture, and eventual touring outfit after the unlikely duo was discovered – and sampled – by U2. Finally, on Sunday, November 18, GPJFF invites you to get out your best “ugly Christmas sweater” and head to the corner of Broad and Pine Streets for dinner and a movie! Dreaming of a Jewish Christmas, GPJFF’s final music documentary and special Film and Food event, will take place on the final day of the festival, 5 PM at the Gershman Y. While recreating the warm, bright Christmases of his childhood memories, Director Larry Weinstein explores the broader history of the Jewish roots of Christmas songs in this charming and highly enjoyable doc. Set amidst a crowded Chinese restaurant on a cold winter night in the 1960s, servers break out into song and dance while musicians, comedians, and historians discuss the American Jewish relationship with Christmas. With vibrant renditions of the most popular Christmas tunes, Dreaming of a Jewish Christmas is a joyful holiday movie brimming with warmth and spirit. Stick around after the film for a delicious Christmas-themed Chinese buffet dinner. General admission tickets are $15; senior tickets are $13; and students may attend all regularly priced films at the Gershman Y for free and purchase tickets for $7 at other venues. Tickets for Dreaming of a Jewish Christmas, which will be followed by a Christmas-themed Chinese buffet, are $30. 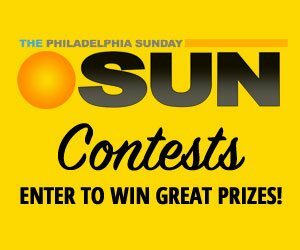 Tickets for all Fall Fest films may be purchased at PJFF.org or by calling (215) 545-4400. The second longest running Jewish film festival in the United States and Philadelphia’s first film festival, GPJFF aims to use film as a vehicle to explore and perpetuate Jewish values, culture, and community. In its 38-year history, the critically acclaimed GPJFF has presented over a thousand international films – many award-winning – that highlight the diversity of the Jewish experience around the world.